The Flooring Girl, Debbie Gartner, blogs about everything you'll ever need to know about carpet runners. Demetrius and I are ready to add carpet runners at the casa, so this timing is perfect for me. 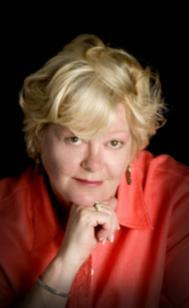 Get in touch with Debbie with any flooring questions you may have!! Everything you ever wanted to know about Carpet runners. 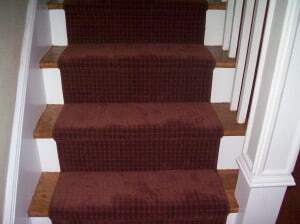 In Mamaroneck NY, carpet runners for the steps have become more and more popular. 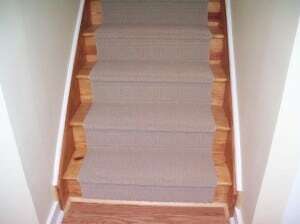 A carpet runner goes on top of your hardwood steps. 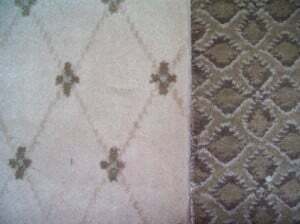 Unlike wall to wall carpet, carpet runners cover most of the step, but still show the hardwood on either side. They are bound on the sides for a finished look. Why are carpet runners so popular in Mamaroneck NY? 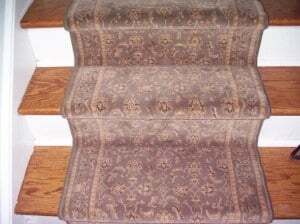 Carpet runners serve 2 purposes: 1) they make the stairs safer - they help prevent slipping and 2) they add a decorative element. By having a some sort of carpet on the steps, it adds traction and friction so you are less likely to fall, especially if you are wearing socks in your home. Also, it makes it easier on your feet, knees and back when you are walking up and down the steps if there is some cushion underneath your feet. What are the most common reasons customers ask for carpet runners? Believe it or not, the most common requests I get for carpet runners are because of dogs. I have many customers with small dogs who have difficulty making it up and down the steps, and as a result, my customers are carrying the dogs. Also, many aging dogs have challenges making it up and down the steps, and as a result, they will often stay on one floor and look and feel sad as they can't spend as much time with their owners. Once, the carpet runners are in place, everyone in the household is much happier. The second most popular reason for carpet runners are for families with young children and/or just starting a family. Toddlers of course have challenges with the steps, but unfortunately, it's often even more difficult for the mom. I have had many customers who are 8 or 9 months pregnant and have taken a fall. And, I've also had many new moms who slipped down the steps with her newborn. These scenarios are never fun, and unfortunately, they are fairly common. Thankfully, runners help alleviate the situation. And, they will help all members of your family - young, and old, 2 legged and 4 legged. 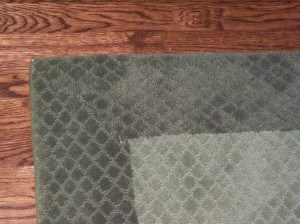 When selecting a carpet runner for your home in Mamaroneck, what are the considerations? This really depends on which factors are most important to you: safety vs. look/quality. For some of my customers, safety is really the main and only consideration, and they are looking to minimize the cost. If that's they case, almost any type of carpet runner will do. For others, they care about the combo of style/look as well as safety. They would rather spend a bit more to have a nice looking runner and one that will last longer. An important consideration here is the location of the steps. If these are the front steps, and if they can be seen from the front door/entry way, remember that this is the first impression your guests have of your home...so you probably want it to look a bit nicer. If, on the other hand, these are back steps, steps that go up from the kitchen, or go down to the basement, you may care less about how it looks. So, everything needs to be done in the context of where it is going. From here, it depends on preferred style and quality of carpet. In general, cut wools will hold up better (and cost more), tight cut dense nylons, followed by looped nylons, followed by looped olefins/polyesters. I do not recommend most looped wools for steps, especially the needle points, as they do not tend to hold up well on the steps. These carpets are phenomenal for bedrooms and area rugs and can last 30+ years, but they often do not hold up as well on steps, and if you have a cat, especially one with front claws, these carpets will not last very long at all...the cats tend to love to use these as a scratching post and the the backing on wool will not hold up very well to this treatment. (However, the backing on nylon looped carpets holds up better so this is not usually an issue for looped nylons). When it comes to regular quality nylons, looped carpets hold up better than cut carpets as the cut carpets tend to show foot prints and wear down much faster vs. the looped carpets which are tighter. That being said, the very high end tight dense carpets with multicolored patterns can hold up extremely well. (it's probably best to consult an expert here for the best advice pending to compare different options). From a style perspective, this really can depend on the customer's taste as well as decor in adjoining rooms - there is no one size fits all. Some of my customers prefer multicolored. Some want a more traditional/oriental look; others want a more contemporary modern look; others want a simpler one color or tone on tone look. Some people like borders; others do not. Runners are not the simplest carpet to pick out...because they need to be practical (i.e. be able to hold up to the traffic) and they often open up into other areas of the home (e.g. living room, dining room) which may already have area rugs and may be painted different colors. You also want to look at the color of the carpet vs. the wood stain color. It's generally best to contrast the color (rather than to blend in with the color of steps). Sometimes, I'm able to find a great contrast color that then has a secondary color that picks up the wood tone color. Also, it's important to look at whether you have simple straight boxed steps, or if your steps change direction and/or have curved or pie steps. When your steps turn, this creates some additional complications when picking a pattern. With pie steps, the patterns won't line up, nor will pre-cut runners with borders - the geometry just doesn't work. In these instances, it's better to choose a carpet with a smaller pattern and a broadloom carpet that can be cut and custom bound on site. If you have a landing, this area is optional as to whether or not you add the runner - it depends on the look you are going for as well as your budget. Some of my customers prefer to do the landing; others don't. If the landing is on the steps (e.g. if you half a flight and then a landing where the steps turn and another half of a flight), you can usually continue the runner here, provided that it is standard size. If the runner is pre-cut with a border, then it will cost extra as you need to mitre each of the corners so that the border lines up. This requires ordering additional carpet to cover both sides and some extra labor. If you have a landing or hallway on the 2nd floor, you also have the option of adding the runner here as well. Some customers prefer to do this...not so much from a safety perspective, but rather from a design perspective and the sound upstairs. Sometimes, the carpet helps muffle the sound/noise from your family/pets; other times, there is a pre-existing creaking condition in the floors (happens often in older homes) and the runner helps muffle the sound. If the landing or hallway is wide, usually a pre-cut runner is not wide enough for the space. Instead, you need to try to find a runner that comes in broadloom as well so that it can be custom cut and bound on site. Other times, the hallway is narrow and doesn't have a lot of light...and adding a runner actually makes the space look smaller. Again, there is no one size fits all, and I try to give customers advice and provide options so they can decide. I'm not a big fan of carpet runner rods. They simply seem to add to the cost and serve no functional purpose...and can in fact cause some other issues. 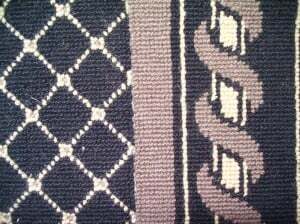 Way back when, the rods were functional...they helped keep the carpet in place; now they are simply decorative. Most customers feel they are a bit dated and formal and not right for their home. (But, in some homes, especially with very wide steps) they sometimes do work and go with the style of the home. On normal size steps (ones that 3-4 ft wide), they tend to create a bit of a tripping hazard, especially if you have younger kids, and they damage the steps by creating holes. There are 2 ways to install the carpet on steps - either cap and band (where it wraps around the step/stair nose for a close fitted look or waterfall style where it "falls" from the step to the tread below. Most customers tend to prefer the traditional cap and band method as it looks neater and more premium. It's a more professional type of installation. With the waterfall method, it sometimes causes a bit more slipping and the carpet is harder to clean...dust tends to get caught in between and I'm not a big fan of that. Below is a video I made showing some examples of runners and why they are important. 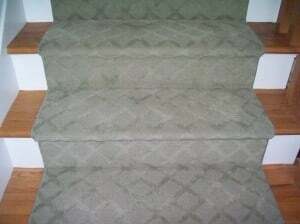 If you live in Mamaroneck NY and are looking for a carpet runner, give me a call and I'd be happy to help you. 914-937-2950. You can download our free flooring guide. Or, visit our flooring selector - 2,000 options. We install hardwood floors, carpeting and runners, tile floors and backsplashes. Call us for a free estimate 914-937-2950. If you enjoyed what you are are reading, feel free to to my blog. Does the size of a property matter - its square footage, that is?! What does downspout length have to do with a dry basement?